As a bit of a die-hard sports fan I love to visit the famous stadiums of the big cities I travel to, so LA’s iconic Dodger Stadium was essential for me. It’s one of the oldest stadiums in the country, so see if you can catch a game here too. The atmosphere is electric! While you are in this neck of the woods (east of the city) you should pay a visit to The Broad. In my opinion this is LA’s most exciting modern art musuem and, best of all, it’s free! You’ll need to book as far in advance as you can though as it’s very popular, or you could hold out for stand-by tickets on-site. Santa Monica isn’t technically LA but you can easily get here on the Expo line from downtown LA. It’s well worth spending at least a day here because it’s small enough that you can easily explore on foot and you are going to want some beach time. It’s the perfect place to take a surfing lesson or, if that’s a bit too physical, hire a bike so you can cruise along the oceanfront cycle path. Then some retail therapy and a chilled out stroll through Third Street Promenade, one of Santa Monica’s most vibrant neighbourhoods. On Wednesdays and Saturdays there’s a great farmers’ market here too. 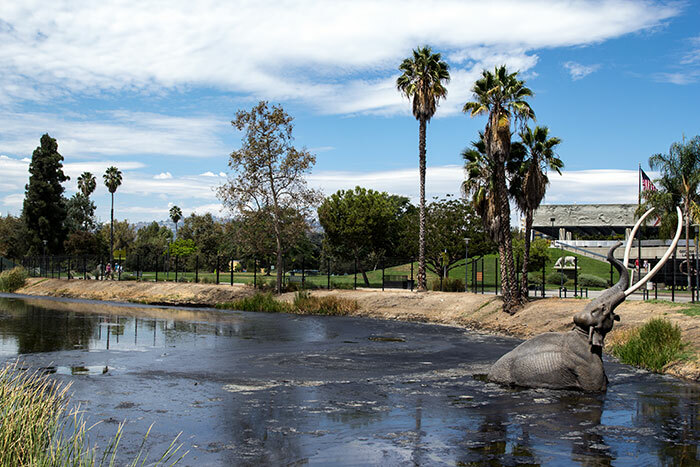 If you or your kids love all things prehistoric then you’ll love a trip to La Brea Tar Pits, home to over a million ice age fossils, from 650 species! If you are travelling without kids then ensure you go home with some unique experiences under your belt by getting off the beaten track. The Sips of Old Hollywood tour does this perfectly. It takes you round the iconic bars, lounges and speakeasies with loads of history, super-friendly guides and you might even bump into a celebrity or two on your way. 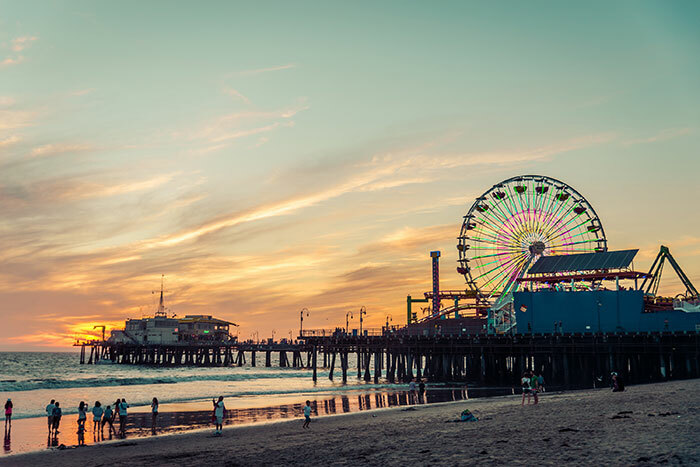 Chat to one of our Travel Experts about our range of tailor-made holidays to Los Angeles and beyond.